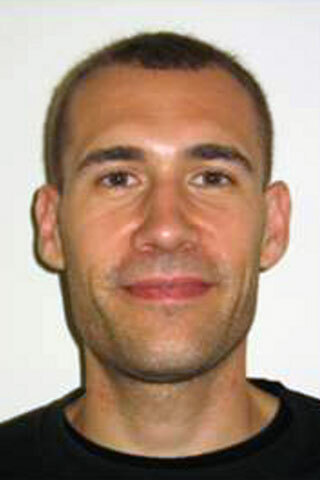 Dr Carlo Bradac is a Postdoctoral Research Fellow at the University of Technology, Sydney. He studied physics and engineering at the Polytechnic of Milan (Italy) where he achieved his bachelor degree (B. S.) in Engineering for Physics and Mathematics in 2004 and his master degree (M. S.) in Nanotechnologies and Physical Technologies in 2006. During his employment experience he worked as Application Engineer at National Instruments (2006-2007) and as Process Automation & Control Engineer at Maire Tecnimont (2007-2008). In August 2008 he was offered a Macquarie Research Excellence Scholarship (MQRES) from Macquarie University, Sydney (Australia), where he completed his PhD in Physics in 2012. He worked as a Postdoctoral Research Fellow at Sydney University (2012-2013) and Macquarie University (2013-2017). He is currently at the University of Technology, Sydney upon receiving both a prestigious Chancellor Postdoctoral Research Fellowship (2017) and an ARC Discovery Early Career Researcher Award (DECRA) Fellowship (2018). His research focuses on colour centres in diamond and on their technological applications in quantum information technologies, quantum metrology, and most recently biomedical applications. He is also a co-founder and first engineer for the start-up company LuciGem, producing diamond and ruby nanoparticles for quantum and bio applications. The field of Solid-state Quantum Optics and Photonics is vast. Some of its main areas of research are Quantum Measurement & Control, Quantum Metrology and Quantum Simulation. While these have specific, defining challenges—e.g. using quantum mechanical coherence to produce enhanced sensors (Quantum Metrology) or controlling individual particles in many-body systems via tuneable interactions (Quantum Simulation)—they are driven by the common long-term scope of producing quantum-based or quantum-enhanced devices that can outperform the current best (classical) technologies. Within the field’s agenda, Dr Bradac's research goal is to harness the spin-optical properties of atom-like impurities hosted in nanomaterials for quantum cryptography and computing (Quantum Measurement & Control and Quantum Simulation) and high-resolution sensing—for instance for the non-invasive biomedical imaging of living cells and for drug delivery (Quantum Metrology). © 2018 Elsevier Ltd Oxidation has been suggested as an effective and scalable means for industrial purification of nanodiamond (ND) powders. However, conflicting accounts were reported with respect to oxidation behavior of commercial powders and the temperature range in which non-diamond phases can be removed efficiently. In this study, we investigate the effects of composition and structural characteristics of ND on the oxidation kinetics. The effect of crystal size was analyzed by directly measure the oxidation behavior of individual ND crystal in the size range 2–20 nm, probing the size-dependence of the oxidation kinetics at the lower end of the nanoscale. This study also leads to the first experimental data on the minimum size at which ND crystals become thermodynamically unstable and cease to exist as well as the minimum size of a luminescent ND still hosting an optically active nitrogen-vacancy (NV) center. © 2018 Fluorescent nanodiamonds (NDs) are strong contenders as bio-labels for life science imaging, diagnostics and therapeutics. Ultimately, for their use in biomedical applications, their size should ideally be <10 nm. Yet, even more critical for their specificity and efficient uptake in cellular systems, is their resilience to aggregation, which is dictated by their colloidal stability in complex, physiological environments. To this end, we characterize small detonation NDs (~5 nm) by examining their surface chemical profiles and stability in solutions of varying ionic strength and pH. Using dynamic light scattering measurements, we demonstrate that small monodisperse ND particles with chemically homogeneous and negatively charged surface profiles are more stable than positive particles under a broad range of simulated biological environments. We show that the colloidal stability of small clusters of both positive and negative detonation NDs is improved by functionalization with bovine serum albumin. Based on these analyses, we propose and describe strategies for enhancing the overall colloidal stability of detonation NDs and their resilience to aggregation. Our findings provide a practical framework towards the reduction in size of the bio-conjugates employed to probe complex biological systems, and the advancement of bio-imaging techniques with minimal perturbation of the molecular trafficking in cellular and organelle systems. © 2017 Macmillan Publishers Limited. Optical trapping is a powerful tool to manipulate small particles, from micrometre-size beads in liquid environments to single atoms in vacuum. The trapping mechanism relies on the interaction between a dipole and the electric field of laser light. In atom trapping, the dominant contribution to the associated force typically comes from the allowed optical transition closest to the laser wavelength, whereas for mesoscopic particles it is given by the polarizability of the bulk material. Here, we show that for nanoscale diamond crystals containing a large number of artificial atoms, nitrogen-vacancy colour centres, the contributions from both the nanodiamond and the colour centres to the optical trapping strength can be simultaneously observed in a noisy liquid environment. For wavelengths around the zero-phonon line transition of the colour centres, we observe a 10% increase of overall trapping strength. The magnitude of this effect suggests that due to the large density of centres, cooperative effects between the artificial atoms contribute to the observed modification of the trapping strength. Our approach may enable the study of cooperativity in nanoscale solid-state systems and the use of atomic physics techniques in the field of nano-manipulation. © 2017 American Physical Society. Solid-state single-photon emitters (SPEs) are one of the prime components of many quantum nanophotonics devices. In this work, we report on an unusual, photoinduced blinking phenomenon of SPEs in gallium nitride. This is shown to be due to the modification in the transition kinetics of the emitter, via the introduction of additional laser-activated states. We investigate and characterize the blinking effect on the brightness of the source and the statistics of the emitted photons. Combining second-order correlation and fluorescence trajectory measurements, we determine the photodynamics of the trap states and characterize power-dependent decay rates and characteristic "off"-time blinking. Our work sheds light into understanding solid-state quantum system dynamics and, specifically, power-induced blinking phenomena in SPEs. © 2017 The Author(s). Superradiance (SR) is a cooperative phenomenon which occurs when an ensemble of quantum emitters couples collectively to a mode of the electromagnetic field as a single, massive dipole that radiates photons at an enhanced rate. Previous studies on solid-state systems either reported SR from sizeable crystals with at least one spatial dimension much larger than the wavelength of the light and/or only close to liquid-helium temperatures. Here, we report the observation of room-temperature superradiance from single, highly luminescent diamond nanocrystals with spatial dimensions much smaller than the wavelength of light, and each containing a large number (10 3 ) of embedded nitrogen-vacancy (NV) centres. The results pave the way towards a systematic study of SR in a well-controlled, solid-state quantum system at room temperature. Here we report the size reduction and effects on nitrogen-vacancy centres in nanodiamonds by air oxidation using a combined atomic force and confocal microscope. The average height reduction of individual crystals, as measured by atomic force microscopy, was 10 ± 1 nm/h at 600 °C, 4 ± 1 nm/h at 550 °C, and less than 1 nm/h at 500 °C from air oxidation at atmospheric pressure. The oxidation process modified the surface including removal of non-diamond carbon and organic material which also led to a decrease in background fluorescence. During the course of the nanodiamond size reduction, we observed the annihilation of nitrogen-vacancy centres which provided important insight into the behaviour of colour centres in small crystals. In these unirradiated samples, the smallest nanodiamond still hosting a stable nitrogen-vacancy centre observed was 8 nm. © 2011 Elsevier B.V. All rights reserved. © OSA 2015. We report on the observation of resonant forces in optically trapped diamond nanoparticles containing NV centres, in a liquid environment. We use a laser beam slightly detuned from the dipole transition of target colour NV centres to exert resonant (attractive and repulsive) forces onto them and, in turn, to the host diamond nanoparticles. When tuning the wavelength in the vicinity of the zero-phonon line of the NV centres, we observe a significant effect (~10%) on the overall trapping strength of conventional optical tweezers due to the resonant forces. We discuss using full optical resonant trapping as a method to manipulate, in liquid, nanodiamonds as small as ~tens of nanometers containing suitable colour centres (e.g. SiV centres) for biological applications. Bradac, C, Juan, ML, Besga, B, Molina-Terriza, G & Volz, T 2014, 'Observation of atomic dipole forces in optically trapped nanodiamonds containing nv centres, in liquid', Optics InfoBase Conference Papers. Juan, ML, Bradac, C, Besga, B, Berthelot, J, Quidant, R, Molina-Terriza, G & Volz, T 2014, '"Ultra" manipulation: Taking advantage of both conventional tweezers and atom optical manipulation', Optics InfoBase Conference Papers. Optically detected magnetic resonance (ODMR) in nanodiamond nitrogen-vacancy (NV) centres is usually achieved by applying a microwave field delivered by micron-size wires, strips or antennas directly positioned in very close proximity ( m) of the nanodiamond crystals. The microwave field couples evanescently with the ground state spin transition of the NV centre (2.87 GHz at zero magnetic field), which results in a reduction of the centre photoluminescence. We propose an alternative approach based on the construction of a dielectric resonator. We show that such a resonator allows for the efficient detection of NV spins in nanodiamonds without the constraints associated to the laborious positioning of the microwave antenna next to the nanodiamonds, providing therefore improved flexibility. The resonator is based on a tunable Transverse Electric Mode in a dielectric-loaded cavity, and we demonstrate that the resonator can detect single NV centre spins in nanodiamonds using less microwave power than alternative techniques in a non-intrusive manner. This method can achieve higher precision measurement of ODMR of paramagnetic defects spin transition in the micro to millimetre-wave frequency domain. Our approach would permit the tracking of NV centres in biological solutions rather than simply on the surface, which is desirable in light of the recently proposed applications of using nanodiamonds containing NV centres for spin labelling in biological systems with single spin and single particle resolution. © 2013 Copyright SPIE. With in-built advantages (high quantum efficiency and room temperature photostability1) for deployment in quantum technologies as a bright on-demand source of single photons, the nitrogen vacancy (NV) center is the most widely studied optical defect in diamond. Despite significant success in controlling its spontaneous emission2, the fundamental understanding of its photo-physics in various environments and host material remains incomplete. Studying NV photoemission from nanodiamonds on a glass substrate, we recently pointed out a disparity between the measured and calculated decay rates (assuming near unity quantum efficiency)3. This indicates the presence of some strong nonradiative influences from factors most likely intrinsic to nanodiamond itself. To obtain a clearer picture of the NV emission, here we remove the substrate contributions to the decay rates by embedding our nanodiamonds inside silica aerogel, a substrate-free environment of effective index n 1.05. Nanodiamond doped aerogel samples were fabricated using the two-step process4. Time-resolved fluorescence measurement on 20 centers for both coverslip and aerogel configurations, showed an increase in the mean lifetime (37%) and narrowing of the distribution width (40%) in the aerogel environment, which we associate with the absence of a air/cover-glass interface near the radiating dipoles3. Finite difference time domain (FDTD) calculations showed the strong influence of the irregular nanodiamond geometry on the remaining distribution width. Finally a comparison between measurements and calculations provides an estimate of the quantum efficiency of the nanodiamond NV emitters as 0.7. This value is apparently consistent with recent reports concerning the oscillation of the NV center between negative and neutral charge states5. © 2013 SPIE. We measure the lifetime distribution of NV centers inside diamond crystals of varying sizes and for nanodiamonds placed on distinct surfaces. Results show the emission is strongly influenced by crystal size and dipole orientation. © 2011 IEEE. Inam, F.A., Gaebel, T., Bradac, C., Stewart, L., Withford, M.J., Dawes, J.M., Steel, M.J. & Rabeau, J.R. 2011, 'Spontaneous emission from nanodiamond NV color centers on structured surfaces', 2011 Conference on Lasers and Electro-Optics: Laser Science to Photonic Applications, CLEO 2011. We measure distributions of emission rates of single nitrogen vacancy color centers in nanodiamond crystals on distinct surfaces. Comparison to calculations shows emission is strongly influenced by dipole orientation relative to surface interfaces. © 2011 OSA. Inam, F.A., Gaebel, T., Bradac, C., Stewart, L., Withford, M.J., Dawes, J.M., Steel, M.J. & Rabeau, J.R. 2011, 'Spontaneous emission from nanodiamond NV color centers on structured surfaces', Optics InfoBase Conference Papers. We measure distributions of emission rates of single nitrogen vacancy color centers in nanodiamond crystals on distinct surfaces. Comparison to calculations shows emission is strongly influenced by dipole orientation relative to surface interfaces. © 2010 Optical Society of America. Biomedical imaging often involves the use of fluorophores, bright optical labels which enable observation of objects which are otherwise invisible. Conventional fluorophores include fluorescein, rhodamine, fluorescent proteins and quantum dots; however, often these are limited by cytotoxicity, pH sensitivities, brightness or photo bleaching/blinking . Colour centres in nanodiamonds have many properties which make them attractive for biological applications including their chemical and physical stability, biocompatibility, easy surface modification and their optical and magnetic spin properties. © 2011 IEEE. Gaebel, T, Bradac, C, Chen, J, Hemmer, P & Rabeau, JR 2011, 'Size-reduction of nanodiamonds hosting NV centres via air oxidation', Optics InfoBase Conference Papers, p. 2077. Bradac, C, Gaebel, T, Zvyagin, AV & Rabeau, JR 2011, 'Nitrogen-vacancy centres in nanodiamond: Effects of size, surface and surrounding environment on luminescence', Optics InfoBase Conference Papers, pp. 723-724. Inam, FA, Gaebel, T, Bradac, C, Stewart, L, Withford, MJ, Dawes, JM, Steel, MJ & Rabeau, JR 2011, 'Spontaneous Emission from Nanodiamond NV Color Centers on Structured Surfaces', 2011 CONFERENCE ON LASERS AND ELECTRO-OPTICS (CLEO), Conference on Lasers and Electro-Optics (CLEO), IEEE, Baltimore, MD. Stewart, L.A., Bradac, C., Dawes, J.M., Steel, M.J., Rabeau, J.R. & Withford, M.J. 2010, 'Characterization of emission lifetime of nitrogen-vacancy centres in nanodiamonds', Lasers and Electro-Optics/Quantum Electronics and Laser Science Conference: 2010 Laser Science to Photonic Applications, CLEO/QELS 2010. We show that the lifetime of nitrogen vacancy emitters can be increased by incorporating nano-diamonds into opals and the lifetime variance may be reduced by placing them on the surface of opals. © 2010 Optical Society of America. Stewart, LA, Bradac, C, Dawes, JM, Steel, MJ, Rabeau, JR & Withford, MJ 2010, 'Characterization of emission lifetime of nitrogen-vacancy centres in nanodiamonds', Lasers and Electro-Optics/Quantum Electronics and Laser Science Conference: 2010 Laser Science to Photonic Applications, CLEO/QELS 2010.